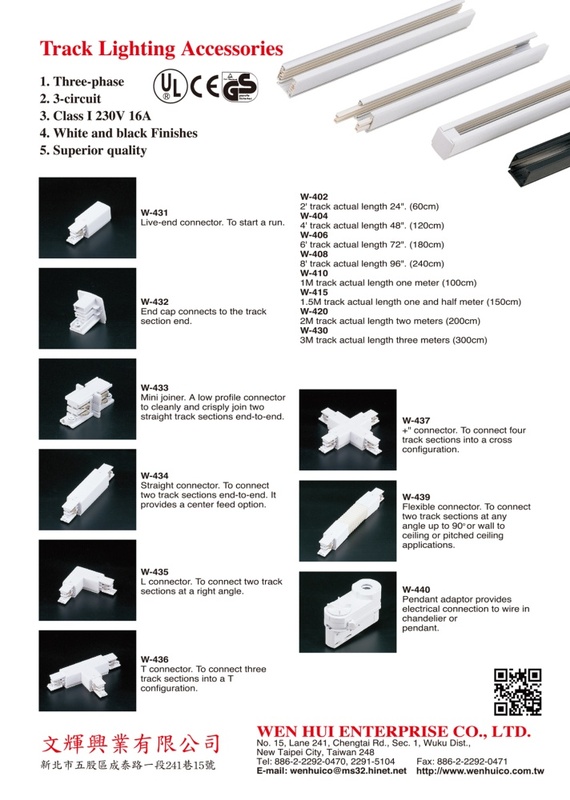 Our company is a track lighting system factory in Taipei, Taiwan. All of our products have approved by "UL", "CUL", "CE", and "TUV". So, our products' qualities are pretty good. The track systems are rated 120 V, 20 A, 2400 W, 60 Hz. 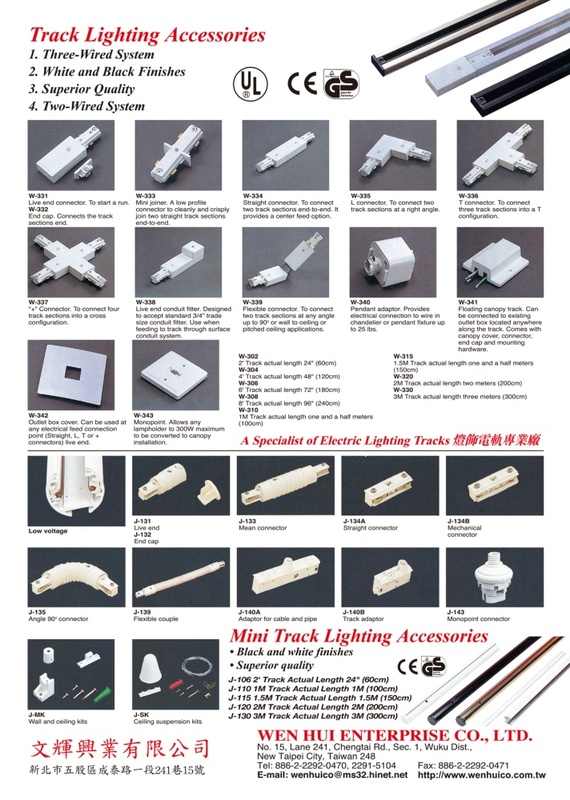 Our mini track system is 12V 20W voltage, and approved by CE & TUV. Our three phase adaptor (W-440) can be used in systems of Global, NOKIA, STAFF, IGUZZINI HOFFMEISTER EUTRAC, ERCO ETC.